Friday marked a historic day for the Penticton Vees Jr. ‘A’ Hockey Club at the 2016 NHL Draft in Buffalo, New York. Two Vees were selected in the First Round of the draft, with Tyson Jost being selected 10th overall by the Colorado Avalanche and Dante Fabbro picked 17th by the Nashville Predators. 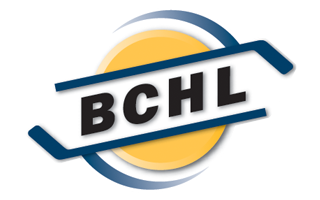 This marks just the second time two BCHL players have gone inside top 30 draft picks. The only other time it happened was in 2004, when Travis Zajac and Kris Chucko of the Salmon Arm Silverbacks were drafted by New Jersey and Calgary respectively. Jost amassed 42 goals and 104 points in just 48 regular season games, leading the BCHL in assists (62) and points per-game average (2.17). He also had an impressive 19-game point streak during the regular season, compiling 42 points during that run. The St. Albert, Alberta, product added another six goals and 14 points in 11 playoff games. 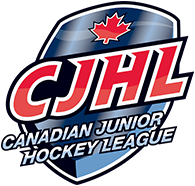 The Vees Captain was named the Canadian Junior Hockey League (CJHL) Top Forward and Most Valuable Player, and was named the RBC National Player of the Year. At the World Under-18 Hockey Championship in April, Jost set a new Canadian scoring record at the tournament, picking up 15 points in 7 games, breaking Connor McDavid’s record set in 2013. Jost led the tournament in scoring and was named the Top Forward of the event. He also won a gold medal at the 2015 World Junior ‘A’ Challenge (WJAC) in Ontario in December, and a gold medal at the Ivan Hlinka Memorial Cup last August. Fabbro led all BCHL rear-guards in points with 67, despite only playing in 45 games, as he missed a chunk of games in December, winning a gold medal with Team Canada West at the WJAC. The Coquitlam, BC, product finished second in goals (14) and assists (49) but had the best points per-game average (1.47) amongst blue-liners. Those numbers earned him the BCHL and CJHL Defenceman of the Year awards. He also was named the Top Defenceman at the 2015 RBC Cup in Portage, Manitoba last season. Fabbro, like Jost, played for Team Canada at the 2016 World Under-18 Hockey Championship in Grand Forks, North Dakota, helping Canada to a fourth place finish. Fabbro was the third-highest scoring defencemen in that tournament, registering eight points, all assists, in seven games. Fabbro is off to Boston University for the 2016-17 season. Dante and Tyson are now the 27th and 28th NHL Draft picks to have played under President, General Manager and Head Coach Fred Harbinson and the third and fourth first round picks, joining Bennett (Pittsburgh, 2010) and Ryan Johansen (Columbus, 2010). The Chilliwack Chiefs Dennis Cholowski was selected 20th overall by the Detroit Red Wings, marking the first time three BCHL players have been selected in the First Round of the NHL Draft.